On Wednesday, Debs will be at the Paces Seminar -"The Biggest Changes in Special Education in 30 years". 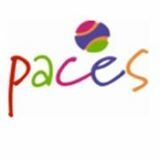 Paces: Supporting parents supporting children and young people with disabilities into independent adulthood as active citizens, especially those with cerebral palsy and particularly through conductive education. In 2012, Paces launched an annual series of events for everyone in the region engaged with children with disabilities or special educational needs. Their inaugural event focussed on children with cerebral palsy and was a big success. This year, they are using the seminar to ensure parents are informed about the forthcoming changes within the SEN system - the Children and Families Bill. Debs will be discussing the issues that parents face due to the essential culture changes - which no legislation can ensure. Paces have also been very fortunate to secure Sarah McKimm - principal solicitor for IPSEA - as a guest speaker. Sarah will be discussing the proposed legislation. Janine Wigmore and Amanda Goulding from Calderdale Parents and Carers are also speaking at the event. The event is free for parents and there are still some spaces left. If you live in or near to Sheffield and would like to come along, you can book a space here. There is another Paces Seminar on 25 September - aimed at practitioners.